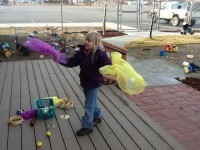 Big Piney Children’s Learning Center is the second Nature Explore Classroom to achieve certification within the Sublette County Learning Center organization. 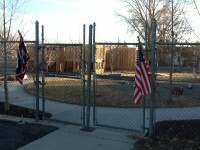 The first site is located at Pinedale Children’s Learning Center in Pinedale, WY. Children’s Learning Centers in Sublette County provide inclusive Half-Day Preschool for children ages three through five. Nature Explore Classrooms help children develop skills and understandings in many areas at the same time as they engage in personally meaningful explorations of the world around them. This is why learning with nature is such a powerful motivator for holistic development. Beautiful architecture and brickwork are found throughout the Big Piney Children’s Learning Center classroom. Wooden signs, made by a local craftsman, are placed at the children’s level in each area to provide focus and clarity to the space. A deck made of recycled material, concrete pathways and a sprinkler system all contribute to making the outdoor classroom durable and low maintenance. 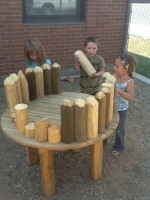 All materials used in the outdoor classroom are local, brought in from the nearby mountain range, lakes and rivers. Children, staff and families all participated in the design including the decision of where to find some of the materials. 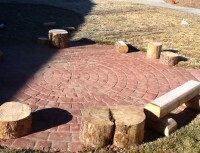 The outdoor classroom is filled with trees and shrubs that look beautiful during all seasons. Twenty-five native trees, numerous bushes and grass were planted throughout the yard. The Nature Explore Classroom has softened the overall look of this highly visible building, making it more visibly appealing to the community that travels by throughout the day. Upon completion of the outdoor classroom, a dedication was held with over 100 families and community members coming in to help celebrate. Donors were acknowledged at this event and everyone was oriented to the outdoor classroom areas as well as the benefits of outdoor education. Each week the teachers send home a newsletter which includes photographs and descriptions of outdoor classroom activities at school. 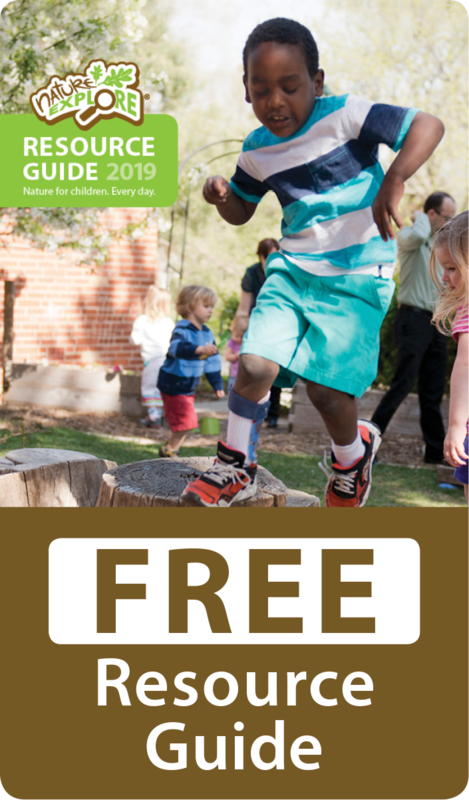 Families are encouraged to return early for pick up to spend time in the outdoor classroom with their children.